The Department of Urology is a department of subspecialists who provide state-of-the-art care for patients who seek this care from around the world as well as from our primary population of South Texas and Mexico. 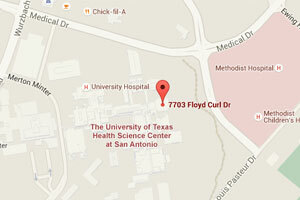 We provide Urologic education to medical students, residents, and fellows at UT Health Science Center. Our mission also includes a wide range of research with a primary focus on research that improves the care for patients with Urologic disease. For more information about making a philanthropic investment in the Urology Program, please contact Steven Reese at 210-567-2598 or via email at reeseS3@uthscsa.edu.